At Mill Bay Veterinary Hospital, we are committed to providing our clients with exceptional service. As providing this service involves the collection, use, and disclosure of some personal information about our clients, protecting their personal information is one of our highest priorities. 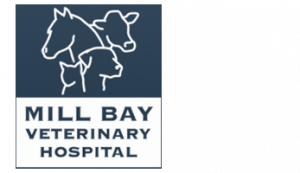 Privacy Officer – means the individual designated responsibility for ensuring that Mill Bay Veterinary Hospital, complies with this policy and PIPA. 2.4 Subject to certain exceptions (e.g., the personal information is necessary to provide the service or product, or the withdrawal of consent would frustrate the performance of a legal obligation) clients can withhold or withdraw their consent for Mill Bay Veterinary Hospital, to use their personal information in certain ways. A client’s decision to withhold or withdraw their consent to certain uses of personal information may restrict our ability to provide a particular service or product. If so, we will explain the situation to assist the client in making the decision. 8.1 The Privacy Officer or Practice Manager is responsible for ensuring Mill Bay Veterinary Hospital, compliance with this policy and the Personal Information Protection Act. 8.2 Clients should direct any complaints, concerns or questions regarding Mill Bay Veterinary Hospital, compliance in writing to the Privacy Officer. If the Privacy Officer is unable to resolve the concern, the client may also write to the Information and Privacy Commissioner of British Columbia.